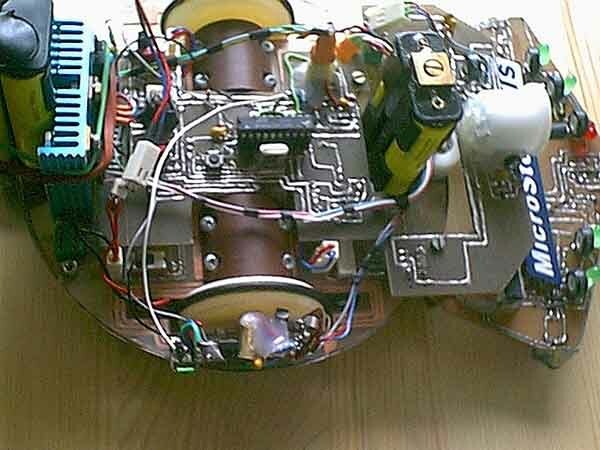 The FTDGX1 robot was our first one – a simple robot, quite fast though. Filip did the hardware, I did the sotfware. I was just learning the basics of AVRs, so the code was simple, crappy, and stuff. But it worked. Aaaah, the memories. Basically, this simple robot is what got me started with everything.